We get it—you’ve just spent the GDP of a small country on your wedding, and now you have to think about your honeymoon? It’s enough to make your accountant cry. So here are 5 of the most affordable honeymoon destinations that ALSO hit the Instagram high notes. We’re talking overwater bungalows for less than $3k a night (yeah, whatever Tahiti), and stunning snorkelling destinations that won’t break the bank. Think of it as your wedding gift, from us. The Gili Islands in Lombok (north of Bali) are one of the most romantic places I’ve ever been. Gili Trawangan, the largest in the group, is best known for its famous sea swings (you may have spotted them on Instagram), and its snorkelling at Meno Wall is world-class. None of the Gili islands have cars—instead, you putter around on bikes, or horse-drawn carriage on your way to quiet bars and restaurants overlooking the crystal blue water. 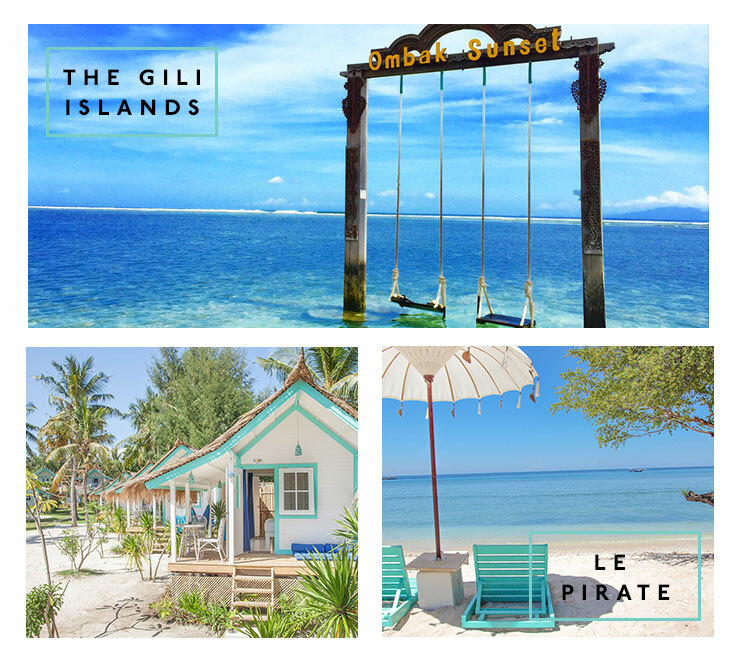 Gili T is the best option if you like a broad range of places to go – Gili Meno and Gili Air are much smaller, with more eco-focussed resorts. I’ve stayed at Le Pirate, a cute collection of bungalows just outside of the main strip on Gili T, lending you a little more quiet on your romantic getaway. At about $250 a night, it’s super affordable, with private outdoor showers, no TV in the room, and a cute pool and bar overlooking the beach. Malta: packed with crystal clear beaches, European food and wine, and about the most affordable accommodation options in the Mediterranean. A flight attendant friend of mine, who has *literally* been everywhere, tells me it’s here you get the best bang for your European buck. Or Euro, that is. Here’s a tip: Google Blue Lagoon Camino and I dare you not to book your flight immediately… And be done once and for all with the pricey beach havens of Positano and Paros. 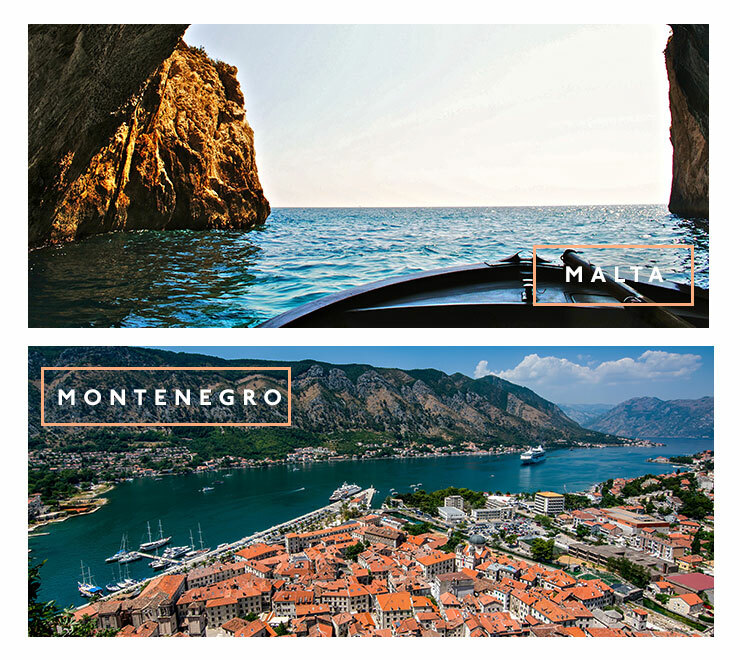 Another good option is Montenegro – basically, it’s Croatia without the super-yachts and exxy price tags. If overwater bungalows are on your dream board but you can’t justify the $3,000+pn pricetag of Bora Bora, Fiji may have the answer for you. 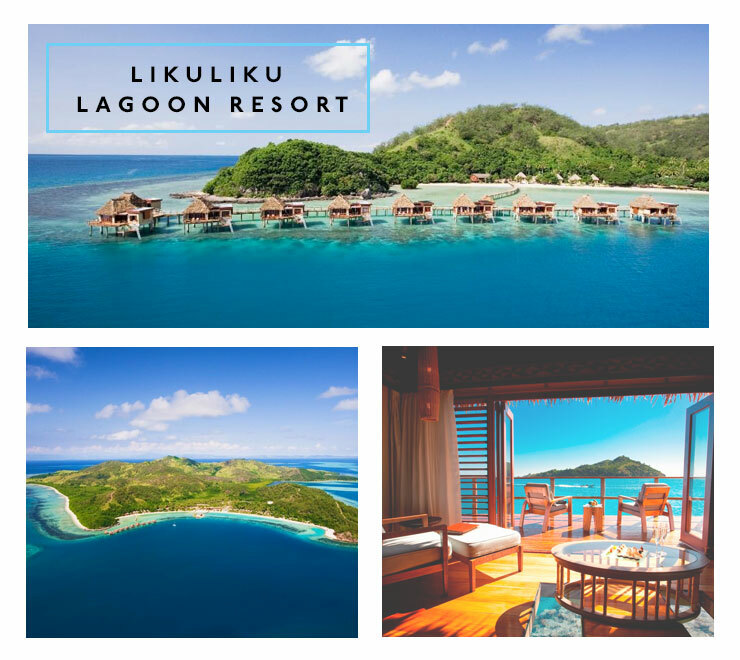 Likuliku Lagoon Resort is a five star, adults only resort on a private island just off the mainland at Denarau—and one of the most beautiful places I’ve ever been to. An overwater bungalow will set you back $1900 per night, which isn’t cheap, but it’s also inclusive of 3 meals a day, with lunch and dinner a choice of three courses. Plus, your bungalow is floating over a marine park filled with tropical fish, giant clams, reef sharks and vibrant blue starfish. Saves you the cost of a snorkelling day trip, no? The Maldives is also good for affordable overwater bungalows, generally priced at between $800-1400 per night – but keep in mind that most don’t include meals, and your flight is going to be at least double the cost of a quick hop to Fiji, with a 16-hour haul to boot. What could be more romantic than the desert? Instead of heading to Dubai (where the dessert is actually pretty over-run with 4WDs), or Morocco (which will cost you a bomb and a 22-hour flight), why not look closer to home? Our own Northern Territory has a red centre full of stunning and romantic options. 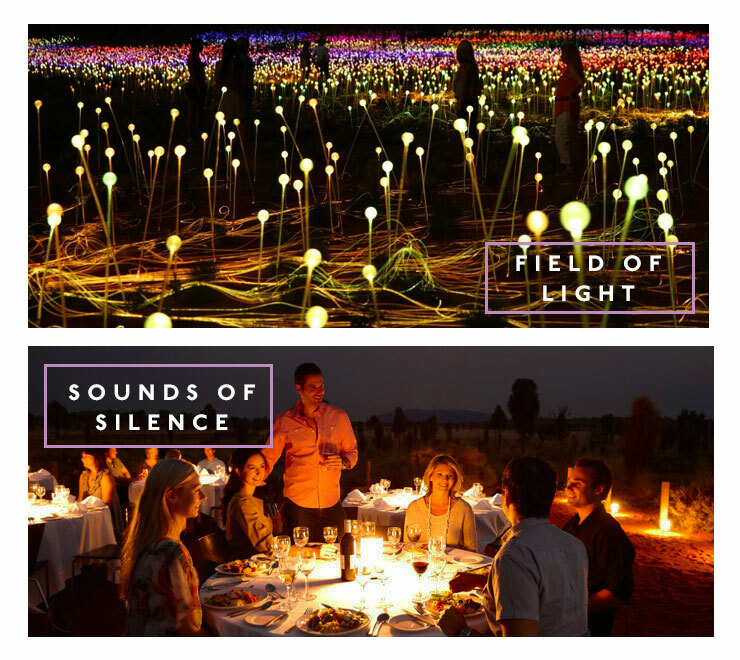 Surprise your lover with the award winning Sounds of Silence dinner as the sun sets over the sand, and take a nighttime wander through the Field of Light (until March 2018). Sigh. IT’S ALL SO ROMANTIC! Plus, seeing as you’ve saved money on the international flight, if you can afford the $1400 a night why not splurge on the famous Longitude 13 for a cheeky weekend? It looks pretty amazing. 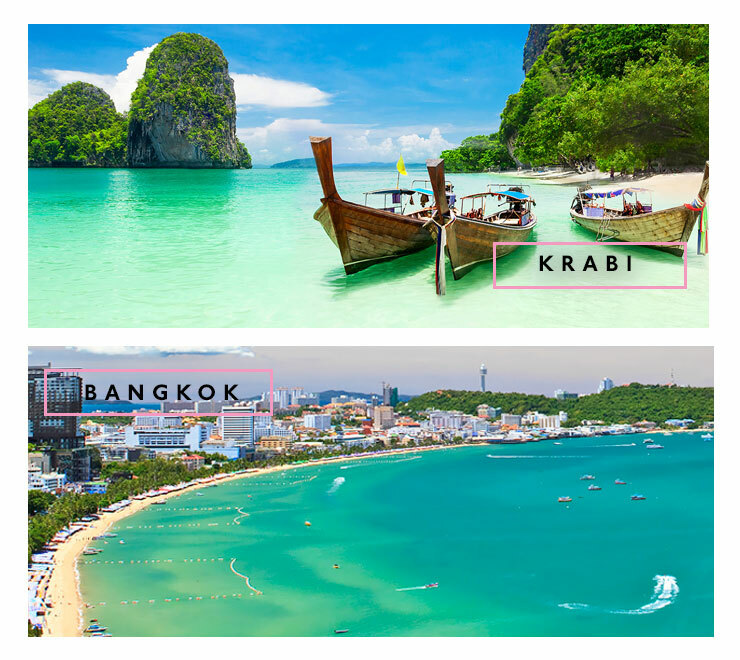 For a lovers getaway that won’t break the bank, one of my all time favourites is the one-two-punch of Krabi and Bangkok. Relax and revitalise at the Grand Centara Krabi for about $390 per night (LOOK AT THAT POOL), and during the day, head on the 7 Islands Tour to some of the most gorgeous islands in Thailand. Wander through the monkey trail to Krabi town (hold onto your hats—literally—the monkeys are cheeky! ), and grab traditional Thai fare for a tenner. Wander for almost kilometre out on the sand banks as the sun sets, and all the stress of a wedding will melt away. Head to Bangkok for some bar hopping, and make sure to try some of their amazing, world-class restaurants and rooftop bars. The shopping is also on fiyah, ladies. Sipping a Mai Tai on a balmy rooftop, overlooking the twinkling lights of the city, with a day’s worth of shopping at your feet? Heaven. Oh yeah, and the new hubby is pretty good too.